A defecting Russian space scientist, awaiting debrief, is in a Warwickshire safe house that comes under attack by an assassination squad. He escapes with plans for a conspiracy involving key members of secret services across the Western world. The only person he knows in the UK, or could possibly trust, is Pete Armour, the man who was to be his de-briefer. Killed before he can reach safety, he has hidden the secret papers where only Armour could ever find them. 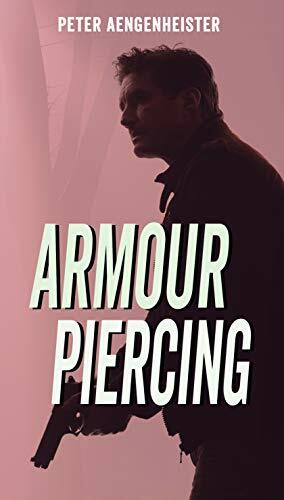 Armour becomes the target when he and a female newspaper reporter find themselves thrust together and on the run from at least two secret service agencies and British Intelligence, who seem more hell bent on killing him than helping him. And there is a price to pay. This is the first of the Armour trilogy. A gripping read. Fast-paced, a thriller packed with action, twists and turns. Excitingly fast paced thriller, full of intrigue. Definitely one to watch out for, when it's released on the 5th March.